Size: approx. 5 mm. Photo: 08/17/11, 9 am. 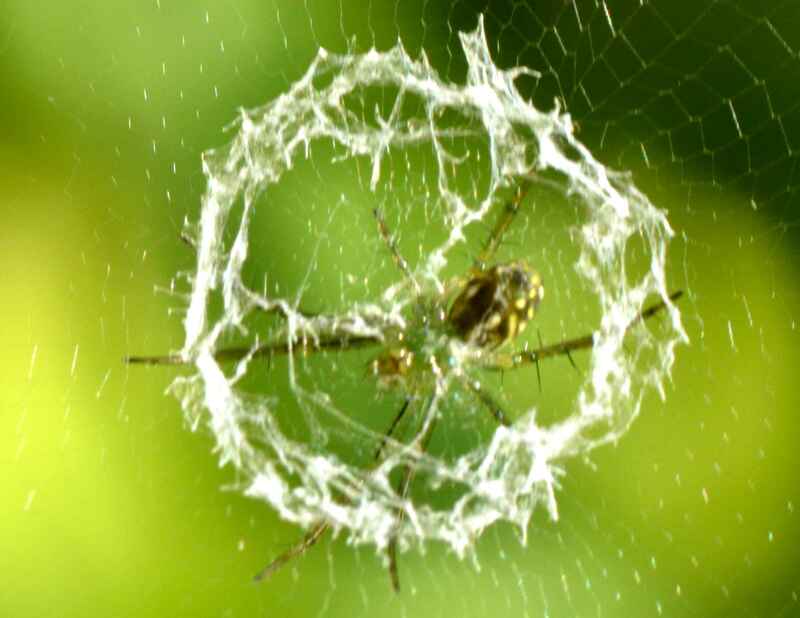 The circular white ring in this web is reminiscent of the stabilimenta produced by the garden spider Argiope. Wikipedia states that stabilimenta evolved independently at least nine times. This web belongs to the Lined Orbweaver (Mangora gibberosa). 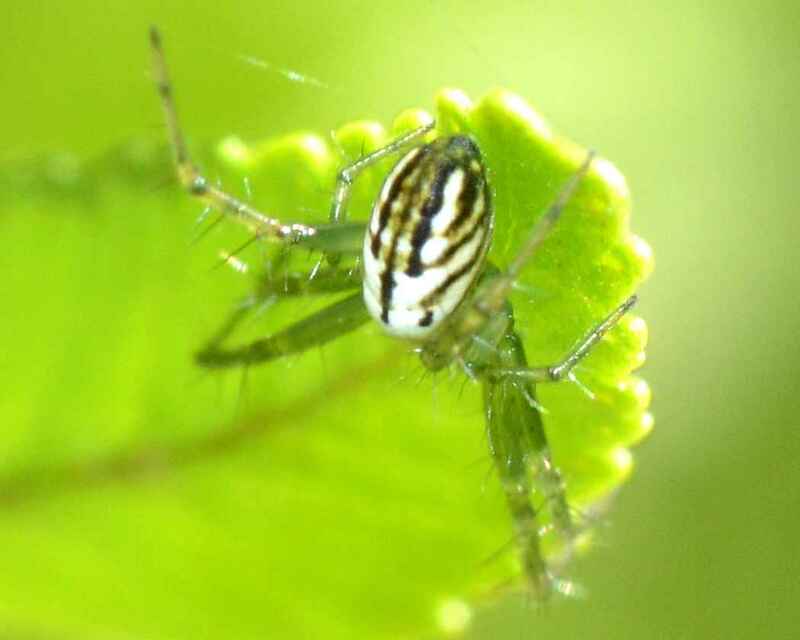 The small photo shows the owner after being chased off the web into a neighboring fern.